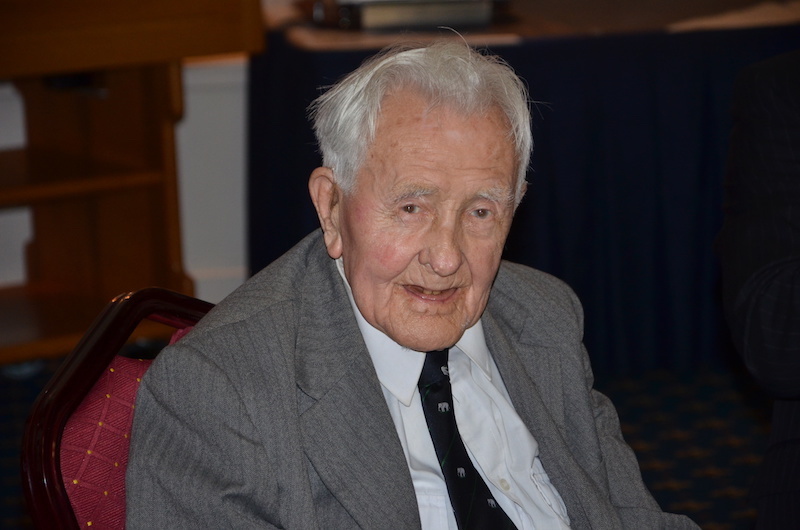 Chapters four and five of Bill Brown’s service memoir, in which he reflects further on combined operations and becoming CO of an RAF Special Signals unit. “Well Bob, I am trying to absorb it all, but as I am sure you must know, there are a thousand and one questions in my mind and I just don’t know where to begin. However, one has been answered.” Turner looked at me quizzically. “It will be a seaborne invasion.” He chuckled, “Not a hard one there. As an island nation we could hardly invade anywhere without getting our feet wet.” He continued, “Any regrets, misgivings or second thoughts at having rashly put your signature to an application for volunteers for a job about which you know absolutely nothing?” My enthusiastic reply “No, none whatsoever, in fact I’m looking forward to the future and the challenge it has to offer.” seemed to please Turner. After a pause for those few words to join all the others I already had taken in, he continued “You may have to face conditions and decisions so far foreign to you and sometimes, of necessity, you may have to take decisions never before envisaged by you.” Continuing on a lighter note, “I suggest that you slow down on the wine, women and song and forget all about the Snake Pit and it’s popsies in Lincoln. It is going to be some time before you see that place again.” A few more general remarks and I took my leave of Turner after, of course, the obligatory exchanges of signature for the file. I repaired to the Gun Room Bar to spend a pleasant half hour with my stable companion, Sub Lieutenant Peter Jackson and another RN type, Stringer, both Skippers of landing craft. A very pleasant interlude with a couple of rugby types swapping various anecdotes and reminiscences of those happy days on the field and after at the bar. Lunch over and, for a while, the three of us continued our reveries on the wooden veranda in the warm June sunshine. At last the time came for us to break up and return to our respective duties. My two companions to continue to play with their boats and I, after looking at my watch and seeing that I had some time to kill, decided to take a stroll down to the distant water that I could see in the distance under the railway bridge. Turner had gone into Troon to collect some stores or other things and would not be back for another hour or so, so I could well afford the time to explore the country beyond the railway bridge. Passing under the bridge the famous Troon golf links stretched to my right and my left. Selecting a grassy mound, the edge of a bunker, I sat down to survey the scenery and fishing out my pipe, my aid to thinking and musing – I filled it and lit it and watched the shipping at the mouth of the River Clyde. To my left some activity was in progress on the beach, several figures moving rapidly between landing craft and beach and then the boat slowly backing off the sandy shore. Beyond all this activity lay the town of Troon and across the water, directly opposite me, the Isle of Arran separated from the mainland by the Firth of Clyde. With the rippling waters of the Clyde and the warm June sunshine, it presented a peaceful scene far removed from war. That tranquil scene did not last long. Moving my eyes to the right, towards the Clyde, a very different scene was unfolding. A convoy was in the process of forming preparatory to its journey across the Pond. Several merchant ships of all shapes and sizes were riding at anchor. Others were slowly coming down the Clyde to drop anchor at, presumably, pre-arranged and assigned anchorages. Soon the fleet of assorted Merchantmen would weigh anchor and head out into the North Atlantic, escorted by ships of the Royal navy, to face the hazards of the Atlantic and the hunter-killer U-boat packs which preyed on the ocean traffic between the United States and Great Britain. The U-boat menace was now reaching its peak and was wreaking havoc with the convoys. Losses of up to 50% being reported by some convoys. Those men of the Merchant Navy were some of the bravest, risking their lives, their all, to keep Britain going. Those sacrifices were shared by our deep sea fishermen who went out in appalling weather into the Arctic Circle to bring us food from the sea, sometimes to be sunk by the ever present U-boats. There were never any survivors, immersion in those waters over a minute was fatal. The U-boats did not bother to surface to try to effect a rescue, all would have been dead before they reached the surface. The Merchantmen faced similar hazards. As an Island nation, we relied heavily on seaborne traffic for our supplies in peace time as well as war time and over the centuries we had built up a Navy second to none. The Germans in turn, had built a very effective and efficient weapon of war, the submarine. Initially, as in the Great War, they were very successful, but in turn we had installed and improved our Channel defences and in 1941 we were beginning to get the upper hand. President Roosevelt had been a firm supporter of the allied cause but his practical help was severely restricted. Handicapped by a strong anti-British lobby in the United States, one of whose strongest voices was that of Joseph Kennedy, American Ambassador to Great Britain from 1938 to 1940. Openly displaying his intense dislike of Britain he was in favour of America joining the German cause, even going so far as to suggest that the United States should consider military support to Hitler. The Japanese attack on Pearl Harbour, a grave error on their behalf, swung the pendulum to the allied conflict and Roosevelt was able to persuade his fellow countrymen to embrace the idea of the total destruction of the Nazi scourge without much opposition. But, behind the scenes Joseph Kennedy still had very great influence and for a long time presided over a subversive element containing a strong Irish presence. But for the immediate future we benefitted from America’s incredible manufacturing ability to provide weaponry to us as well as to its own forces. However, there was still a very serious hurdle to clear. Our improving situation in countering the U-boat threat was short lived. As 1941 passed the numbers of enemy underwater craft passing through the heavily fortified English Channel began to decrease and this applied to both directions. Previously, submarines of the German Navy had to run the gauntlet of the Channel defences to return to their yards in Germany for refuelling, re-victualling and re-arming and to repair damage received in hostilities out in the open sea. With the decreasing volume of U-boats passing through the Channel it would be naturally assumed that underwater activity would begin to show a similar decrease. This did not follow, in fact the attacks increased in the North Atlantic and once more our convoys were suffering heavy losses and now, half way through 1942, the U-boat menace was at it’s peak. This phenomenon was causing considerable embarrassment and concern to the Allied war effort and, despite intense Intelligence probing, the question remained – where and how were these submarines being serviced? In spite of almost superhuman efforts by the Royal Navy and the Royal Air Force anti-submarine patrols, who were scoring some notable successes, the losses were still worryingly high. I had obviously been given the brush-off and very pointedly discouraged from further questioning. After the obligatory signing ceremony I picked up the papers and disappeared into my office. On my return from the beach the previous day, I had noticed an influx of Royal Air Force uniforms, all apparently other ranks. My walk across to Turner’s office this morning took on an added interest. Opening Bob Turner’s office door I entered to find him talking to a new face in RAF Officer’s uniform. I was introduced to the new comer, Flying Officer Franks, who would be Commanding a second Special Signals Unit under Training. A pleasant looking chap with dark hair and of a similar build to myself, extended his hand and we exchanged a few general, insignificant words in a very cordial atmosphere. Franks was going to be a pleasant colleague to train with. For a few minutes we had a session of cross talk on the subject of previous postings and Stations and Bases and Squadrons we had been associated with. After a few minutes Bob broke in, “sorry chaps, to break up the reminiscences but the Old Man will want to see you Franks, so we had better go in now and get it over”. With the newcomer in tow, Bob knocked on the office door and disappeared inside. Bob returned alone after a few minutes leaving Franks to his interview with Wing Commander Strutt. Bob had some interesting information, the Course would be officially opened by the Wing Commander this afternoon. 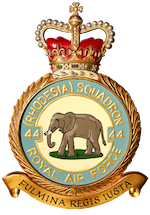 All Royal Air Force personnel would be required to attend and the formation and strength of each would be announced and, as yet, a very general description of the duties and responsibilities of the Units. For security reasons, no real detail would be discussed. I was now beginning to look forward to the afternoon and as I resumed my study of the Top Secret files, my mind wandered far and wide as I read the typewritten sheets and tried to apply the notes before me to a real life situation and just how I would fit in. After a while I heard voices from next door, so I supposed Franks had finished being vetted by the CO. I continued to read the files until lunch break. Franks joined me at the Gun Room bar, where I was slaking my thirst with my cabin companion, Jackson. Franks had followed his interview with the CO, he had done the rounds of the Clothing Store and Medical check up and was now fully fitted out in the regulation khaki battledress. He had managed to avoid the confusion surrounding my accommodation and messing arrangements by travelling on the overnight train, ensuring a civilised hour of arrival, when the camp was fully open for business. A couple of other types joined us and the lunch break passed off very pleasantly. Just before 1400 hours we made our way over to the large wooden Assembly hut for the Official Opening Ceremony of the Special Signals Duties under Training, the official designation of the Course. Entering, we found about 50 or 60 khaki clad figures, all RAF other ranks. Turner was already seated at a long trestle table standing on the dais at the far end of the hall. A second empty chair was beside him. Motioning us to come forward, he pointed out two chairs just under the platform and in the front row. We exchanged a few words but dead on 1400 hours Wing Commander Strutt entered and strode up the centre aisle between the rows of men standing smartly to attention. Mounting the couple of wooden steps on to the dais, moved across to the empty chair alongside Turner. For a brief moment he scanned the scene before him and then with a sharp “sit down Gentlemen” he lowered himself on to his chair and awaited until the noise of scraping chairs subsided before addressing the assembled company. Satisfied that all present had now resumed their seats, he looked out on to a sea of expectant faces. He wasted no time in preliminaries. Looking up from a sheaf of papers on the table in front of him, he began. “Gentlemen, you are all fully aware of the very critical situation we find ourselves in just now. We have recently experienced serious reverses in the Western Desert and we are being subjected to heavy and prolonged bombing raids on Britain. The entry of the United States of America is a very welcome step and the situation has eased somewhat, but our life line across the North Atlantic is now suffering very severe and unacceptable losses in our convoys. Some are suffering at least 50%. These losses are the results of a sudden and sustained increase of enemy U-boat activity. We thought we had overcome that threat but, so far, success has eluded us. The Russians are calling for us to open a second front. Their requests becoming louder and louder each day. Unfortunately, with our limited resources and present commitments, we are unable to satisfy those demands. In short Gentlemen, our situation is extremely grave and has caused a complete rethink of our strategy”. A pause and the Wing Commander continued. “With this very serious and grave situation it has been decided to augment our present strategy with a completely new approach to the conduct of hostilities. To achieve this end, a new organisation has been created and formed to bring together the expertise of each of the Fighting Services and to pool this knowledge and place it under one Supreme Commander, who will take full responsibility of applying this collective expertise to a major operation to be mounted sometime in the future. The duties of the Supreme Commander will collect, co-ordinate, direct and ultimately be responsible for firing the starting pistol. This new organisation will be called Combined Operations and the firing of the starting pistol will signify the start of a completely new phase in the all out war against the German aggressors. You Gentlemen assembled here today will have the privilege of being at the forefront of this unprecedented event that will go down in history. It will be an Operation that will change the whole face of the war.” The Wing Commander took a sip of water and allowed a few minutes for the news he had just given to sink in. “You will also have training on transport in general and be able to drive any vehicle that should fall into your hands, Allied or Enemy, plus elementary tuition in roadside repairs of motor transport. You will not always have the luxury of a motor vehicle so you will have intensive training in forced marches, PT and drill. You may expect to carry out your duties in extreme weather conditions and exist on minimum rations and survival kit. The possibility of having to live off the land is very real”. The speaker paused and looked down at the papers in front of him, then, looking up said “I think I have covered the major points for the moment, so I will conclude this meeting and in doing so, must impress upon you the utmost secrecy of this whole project. If you are directly questioned about your presence here you are just on a refresher course. Not the slightest whisper or hint of our activities, either within or without the camp or any reference whatsoever of our training must escape outside. No doubt you have friends and relatives and so on who are serving in one of the Services and you may feel that it is all right to enlarge a little on your posting here. On no account whatsoever is this to happen and any such leakage traced back to you, any one of you, will be treated with the utmost severity and will carry the appropriate punishment. I don’t think I need explain what that is, or could be”. I knew exactly what he meant. Deliberate or malicious distribution of Top Secret material could lead to traitorous behaviour and the ultimate punishment for that was the firing squad. The final words from the CO were music to our ears. “So far you have not been permitted to leave camp, however, that is about to be relaxed within the next few days. I must remind you that you will go ashore in your regulation RAF uniforms and not, I repeat, not khaki battledress. Don’t forget that you are here only on a refresher course and that goes for any one who may be curious as well as your own friends and relatives.” There was a pause and then the Wing Commander rose from his chair and with a “good luck on your course” he gathered up his papers and stepped down from the dais and strode down the aisle between the chairs of the now standing men. The men resumed their seats and Turner banged on the table to bring them to attention. “Before you leave in just a few minutes, I have to tell you that tomorrow morning you will assemble here in this hall at 0800. The two units so far on site will be formed and their respective COs will take down their details, bearing in mind, that every man from the CO down to an aircraftman will have to be prepared and able to step into the place of any other man who may be rendered unable to continue his duties for whatever reason. So, in taking down those details, this will be borne in mind and the scope of each man assessed. That’s all today, you are all dismissed”. Franks and I joined Turner on his walk back to his office. “Any questions?” “Yes, hundreds” piped up Franks “but I’ll leave it until another day and after I have managed to absorb all the gen I’ve so far collected”. We parted from Turner at his office and Franky and I walked on down to the beach to watch the activity all around and to relax.